Celebrate Craft Beer the most Canadian way! Get your parka, long johns, and all the flannel you can find, it’s Winter Craft Beer Fest time again! We want you there as much as we want "u" in the spelling of colour and flavour. Join us with a pint of your favourite Ontario Craft Brewers outside Steam Whistle Brewing in Roundhouse Park for another year of beer, food and fun. Wear your Best Retro Ski Gear! The Roundhouse Winter Craft Beer Festival will showcase only beers from bona fide Ontario Craft Brewers, based on their passion to re-kindle and keep alive the spirit of traditional brewing: independent ownership, smaller batches, artisanal styles, quality ingredients, all-natural and undiluted. 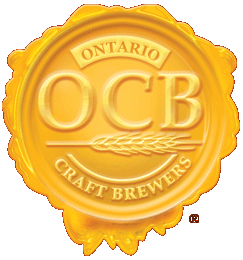 Learn more about the OCB's Brewing Philosophy & Standards. The Roundhouse Craft Beer Festival will benefit the Toronto Railway Heritage Museum. For more information on the TRHA, visit their website at www.trha.ca.